This is a book store about african authors and writers. Where it will display well know african books and unkown african authors to get more recognisation about their work. Also it will facilate african authors to publish their books through all part of the continent. Things Fall Apart, published in 1958, is the seminal African novel in English. Although there were earlier examples, notably by Achebe's fellow Nigerian, Amos Tutuola, none has been so influential, not only on African literature, but on literature around the world'. Its most striking feature is to create a complex and sympathetic portrait of a traditional village culture in Africa. Achebe is trying not only to inform the outside world about Ibo cultural traditions, but to remind his own people of their past and to assert that it had contained much of value. All too many Africans in his time were ready to accept the European judgment that Africa had no history or culture worth considering. He also fiercely resents the stereotype of Africa as an undifferentiated "primitive" land, the "heart of darkness," as Conrad calls it. Throughout the novel he shows how African cultures vary among themselves and how they change over time. Look for instances of these variations as you read. 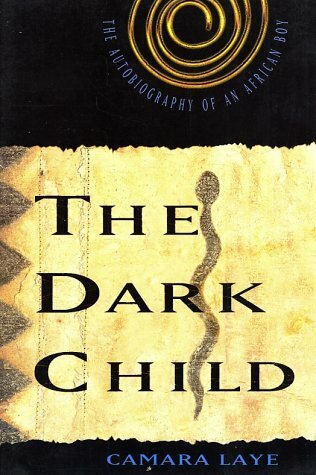 The Dark Child is Camara Laye's autobiography, tracing the development of his cultural and personal values as a young man coming of age within the Malinke tribe of Upper Guinea during the 1930's. No where in his autobiography do we see evidence of the primitive, dark, "uncivilized" culture of Africa as depicted in classic colonial works like Conrad's Heart of Darkness, but instead encounter a quiet, solid, emotionally-scaffolded narrative, in the context of sophisticated nonfiction that calmly relays milestones in the author's childhood and young adult experience. 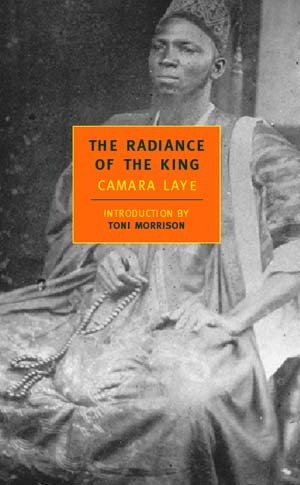 The Radiance of the King, Laye’s second novel which was published a year later in 1954. It is a surreal allegory of the relations between the West and Africa. In it Clarence, a white man, is shipwrecked and abandoned as a result of his gambling debts on the African coast leaving him with nothing more than the clothes on his back. Flushed with self-importance, he demands to see the king. He was convinced of being engaged as his worldly adviser if he should see him. But unfortunately the king had just left for the south of his realm. So Clarence is left waiting in vain. To save his time from being further wasted he is then led south by an old beggar and two young but roguish boys. He goes through a grueling quest of discovery during which he undergoes various sexual scrapes, and is gradually stripped of his pretensions. He is sold to the royal harem as a slave and ends up giving up his white identity. His bewildering journey thus brings in revelation as he discovers the shameful but beautiful image of his own humanity in the alien splendour of the king. The mother of three, the first woman in East and Central Africa to earn a doctorate, and the first African woman to receive the Nobel Peace Prize, Wangari Maathai. 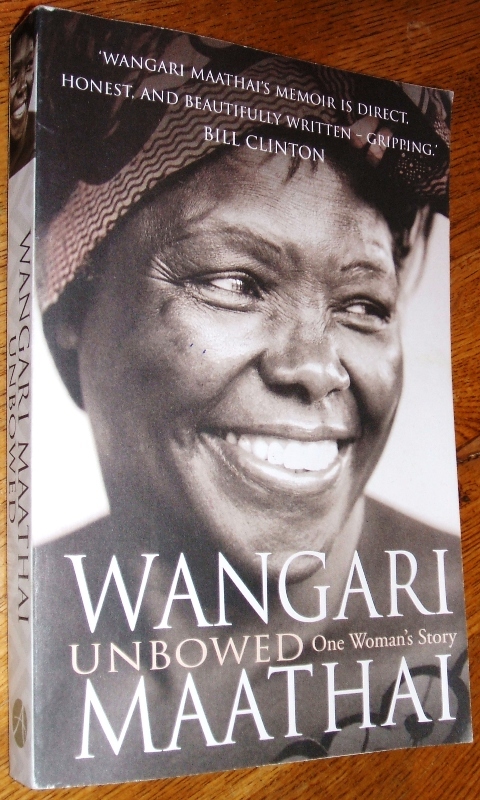 Wangari Maathai is a prophet for our time and Ubowed is a call to arm for all of us who feel that the planet is overwhelmed by carelless, corrupt or violent leadership. I have long suspected that the voice to lead us forward would come out of Africa, and it has- a voice of humour, sense, strength and compassion. 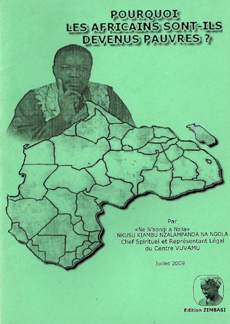 The purpose of this brochure is to awaken Africans asleep, because to grow, each nation must seek to know themselves, and then to liberate themselves from all forms of injustice and colonization metropolitan open his mind so that it is tracks, faces solutions to the problems of his experience, and ultimately exploit its natural advantages by adopting a responsible attitude in order to materialize its development. Login to Advertise your book or your favour book for free.